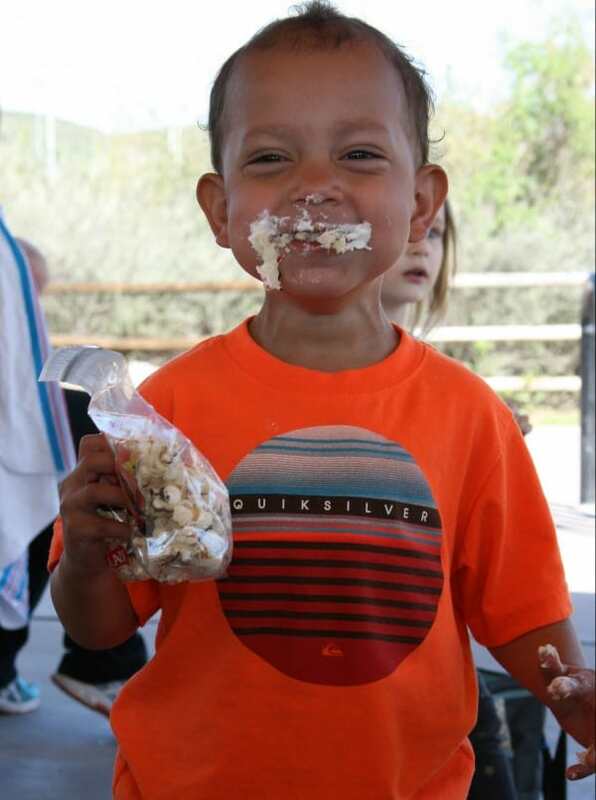 Celebration Fun at Our #DisneyKids Preschool Playdate Party 2016! Who doesn’t love a celebration? And all preschoolers love to party! 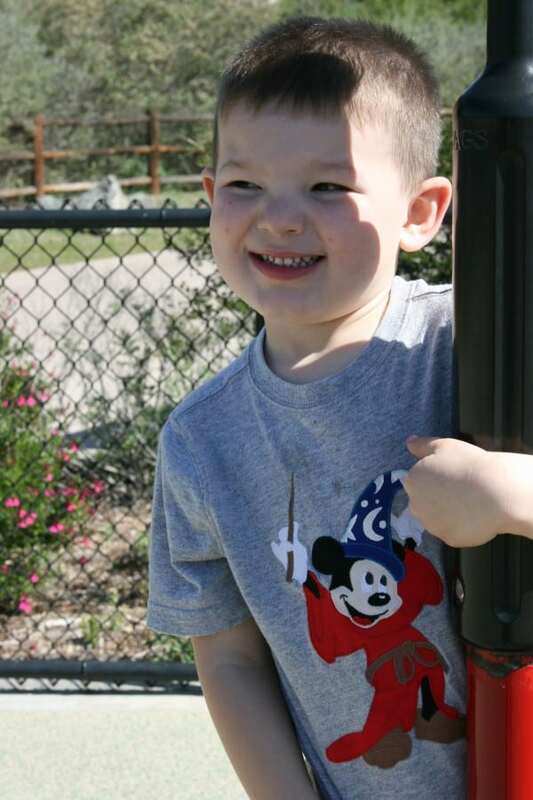 Mix preschoolers with Disney and other great sponsors and it’s a guaranteed great time! 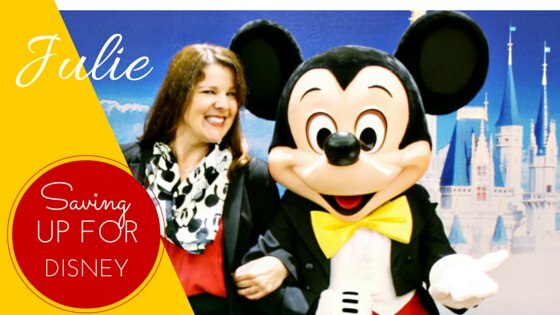 We had such a wonderful time at our DisneySide [email protected] HomeCelebration last year, I was excited to host again this year. Being nearly 38 weeks pregnant put a bit of a spin on how elaborate I could get but fortunately Disney supplied me with a great kit of goodies. 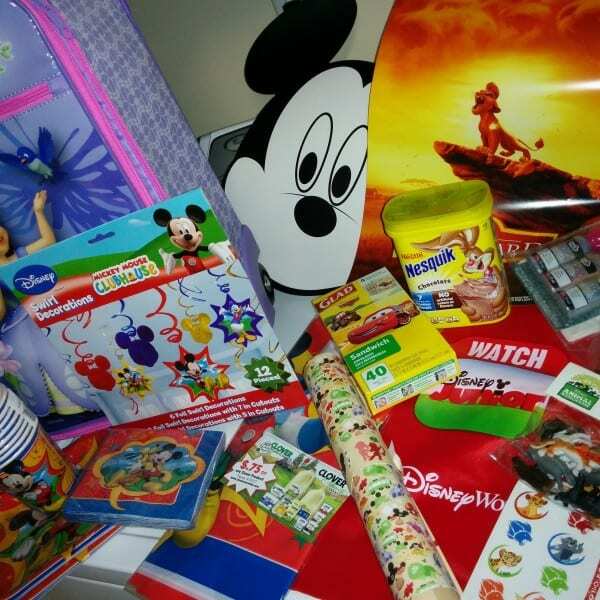 I received free products in order to host the DisneyKids Preschool Playdate. 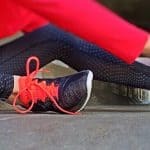 The opinions expressed here are my own. Here are two videos of my son opening the boxes. Yes, he is truly this enthusiastic about everything in life (but especially Disney!) And wow, he says, “Oh my gosh!” a lot! The box arrived and inside was an American Tourister suitcase with my kid’s favorite new princess, Sophia the First! 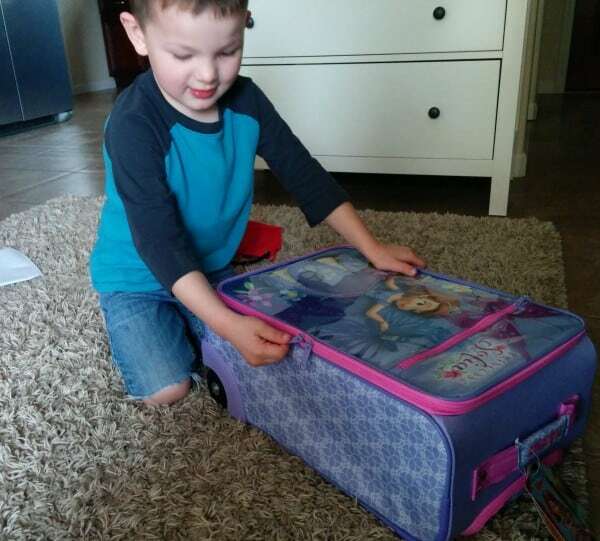 This suitcase is perfectly sized for preschoolers and it was stuffed full of treats to share with our guests. 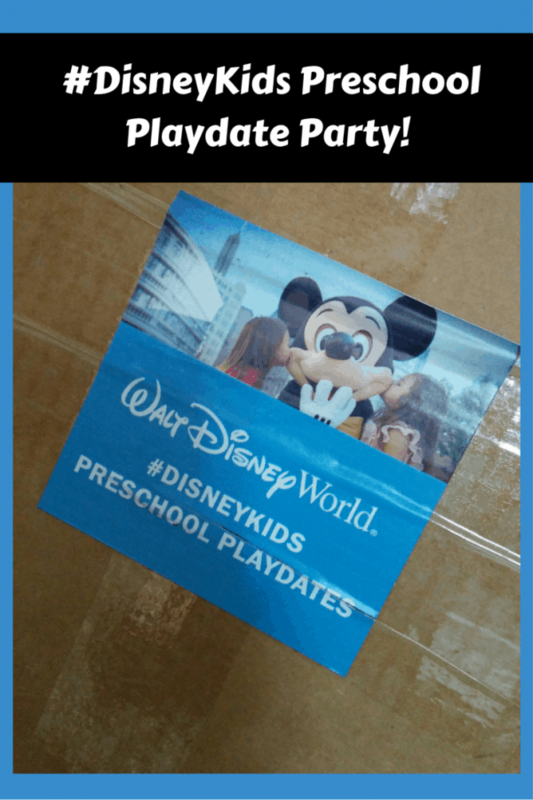 What’s Inside a #DisneyKids Preschool Playdate Party Box? 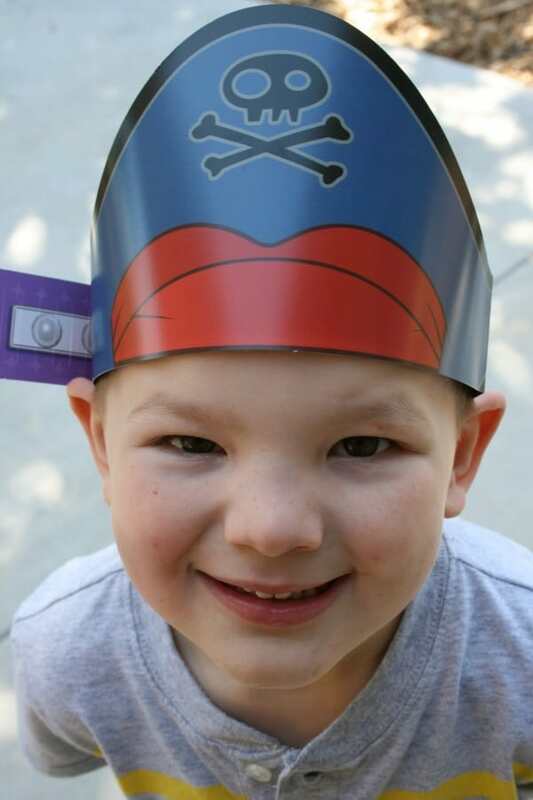 #DisneyKids Preschool Playdate Party Day! The enclosed party supplies helped set the stage for the preschoolers at our local park. 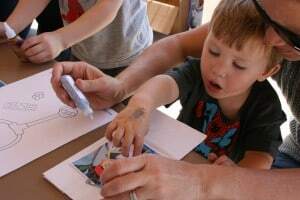 It was a beautiful day and the kids were able to play together, enjoy a snack and do a craft. 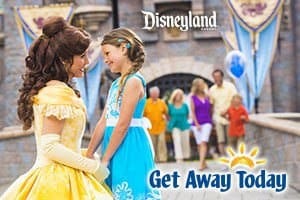 Being from SoCal, we are only 90 minutes from the Disneyland Resort. 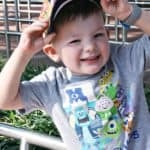 Several of my party guests were discussing upcoming Disneyland vacations and I was able to share with them how much fun my son had on our Walt Disney World vacation last year when he was three years old. 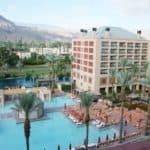 Though it was a more elaborate cross-country vacation, it was a trip that he still talks about near-daily! 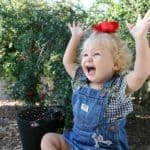 I highly encouraged my guests to consider a Walt Disney World vacation next time they were planning for Disney and not to be discouraged by the younger ages of their children. 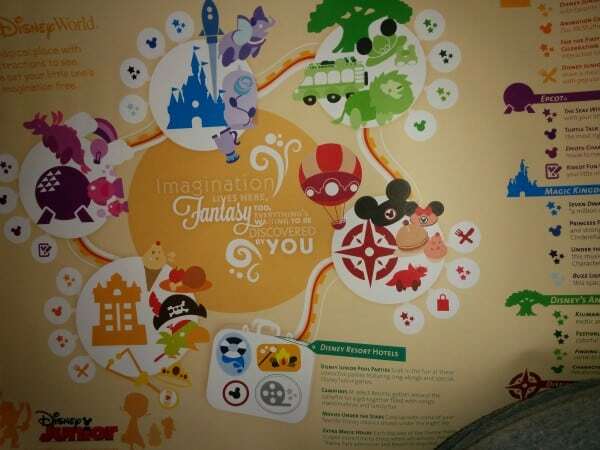 As the maps included in our party kit showed, there are plenty of things at the Walt Disney World Resort to be enjoyed by preschoolers! 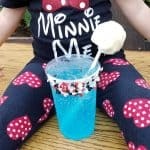 Since this was a DisneyKids “playdate” and not a full-blown party, I kept the snacks and games light and really let the kids engage and play together! I made party popcorn to fill inside of the included Glad food bags. 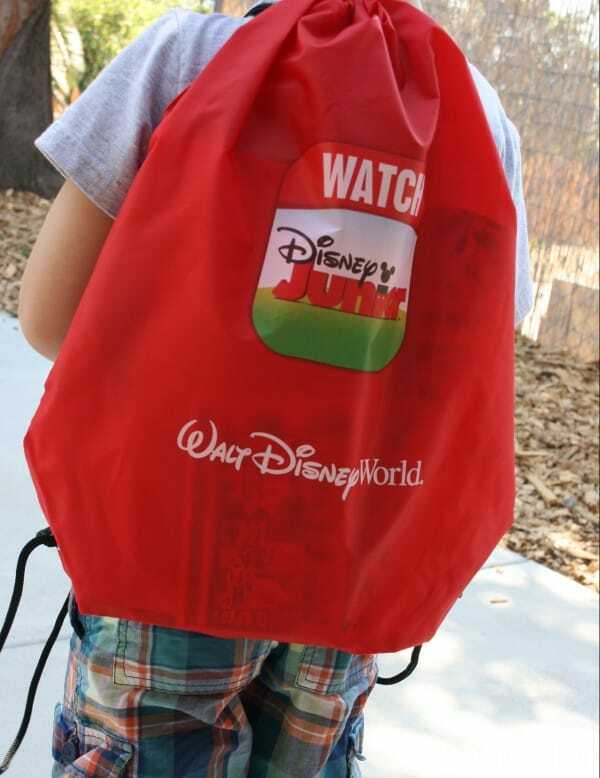 These high-quality bags feature favorite Disney characters (ours had Cars designs). I simply purchased pre-popped popcorn and spread it out onto cookie sheets. 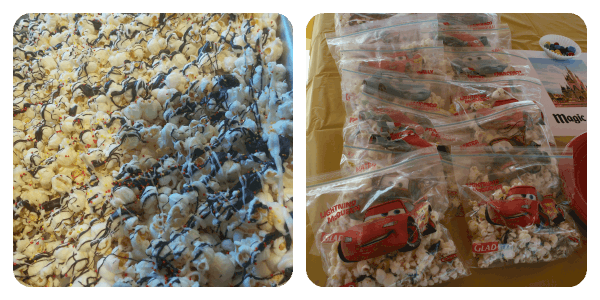 Candy melts in chocolate and vanilla drizzled on the popcorn, then decorated with red and yellow sprinkles make this popcorn perfect! After the candy had hardened I simply scooped a serving into the Glad food bags for each guest. Check out #MagicofGlad via social media to see how other party hosts stuffed their Glad food bags! 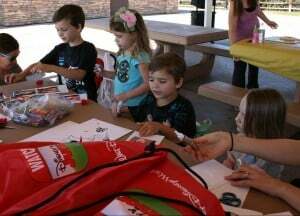 Our packet came with lots of fun activities for preschoolers including bingo but my group was on the younger side and getting little ones to leave the playground was too much to ask! 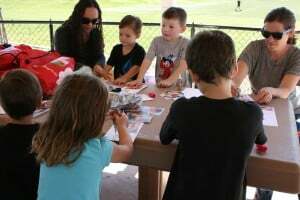 Some of our preschool guests had younger siblings that attended so I was able to take some of the party games and use them in other ways that fit my group. 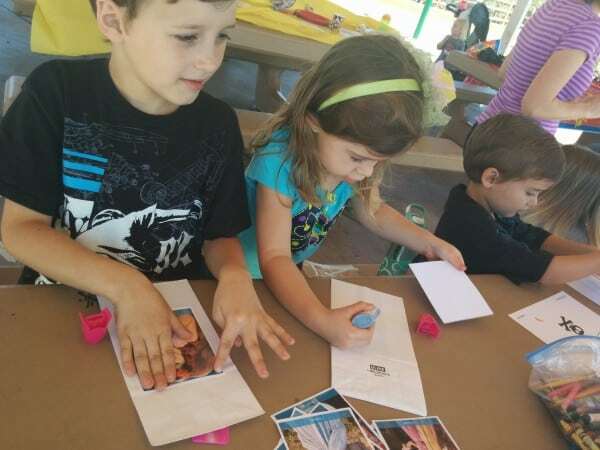 Our #DisneyKids Definitely Loved to Create! 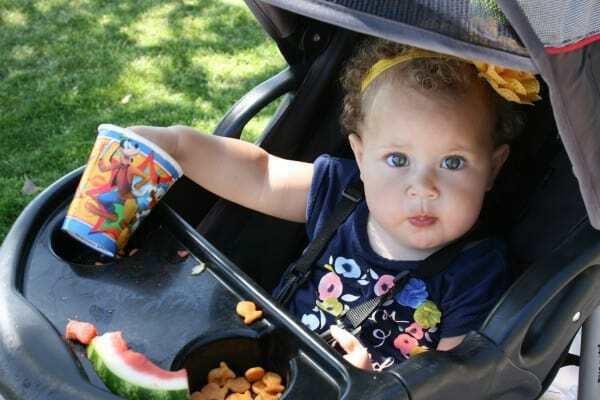 After the kids had run around together on the playground and stopped for a snack, they were ready for crafting time. Tulip’s Puffy Paint and Aleene’s Tacky Glue was included with paper sacks and some characters to cut out. My guests used the glittery #puffypaint and glue to #gluestufftostuff all over their bags. We love to #createincolor and have preschool art time every day, so this was an opportunity for my little guests to have fun and get a little messy! Follow #ILovetoCreate online for other great preschool craft ideas. 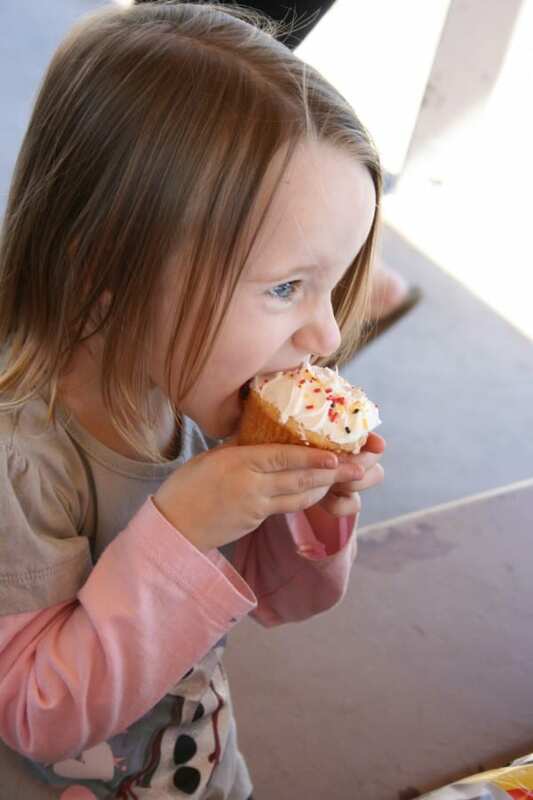 And well, it’s not a party unless I have cupcakes. 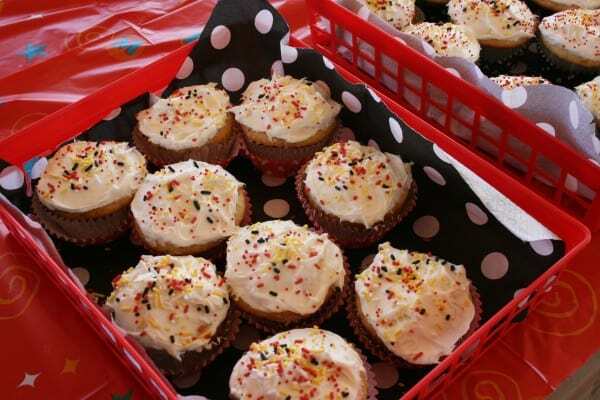 I decorated them to match the Mickey theme in classic red, black and yellow sprinkles, which as you can see were a big hit with our preschoolers! Our #DisneyKids box also included DisneyJunior bags that I filled with a poster from The Lion Guard, a reversible paper hat featuring DisneyJunior’s Sophia the First crown or Jake & the Neverland Pirates hat, The Lion Guard tattoos, a Clover Dairy coupon, and the Walt Disney World map that shows what attractions are recommended for preschoolers visiting Walt Disney World. 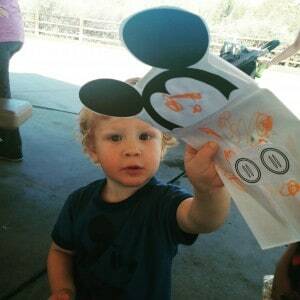 Each family was able to take home these mementos of our DisneyKids Preschool Playdate! 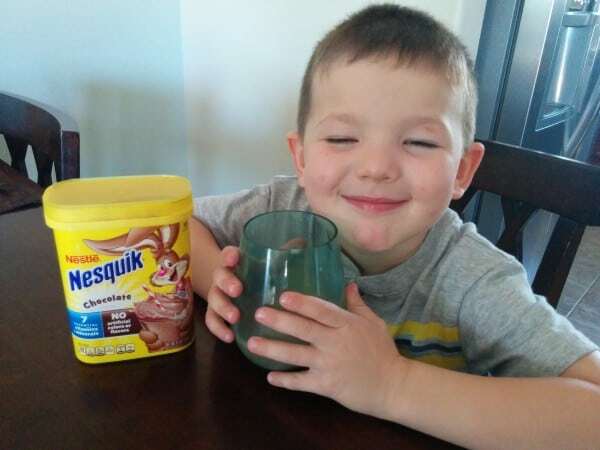 Nesquik sent a package of yummy chocolate milk that my kids (and I confess, me too!) have been enjoying with our breakfast. It’s a delicious way to flavor the milk and also includes 7 essential vitamins and minerals. 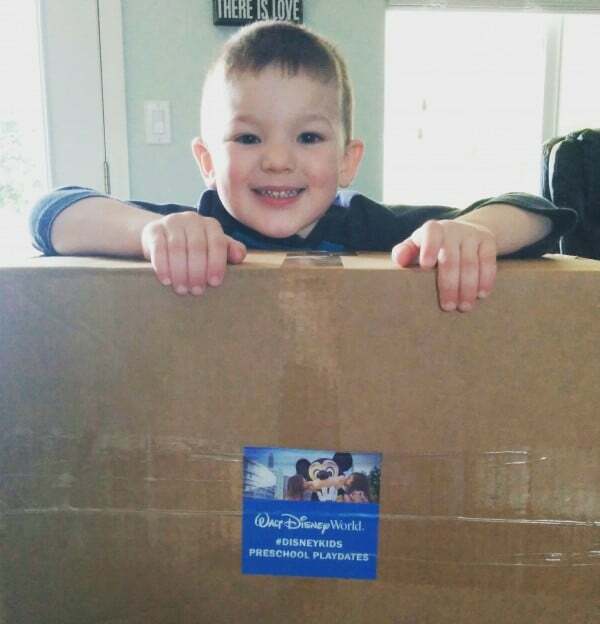 See photos of other #DisneyKid partiers by following the hashtag #StirImagination. 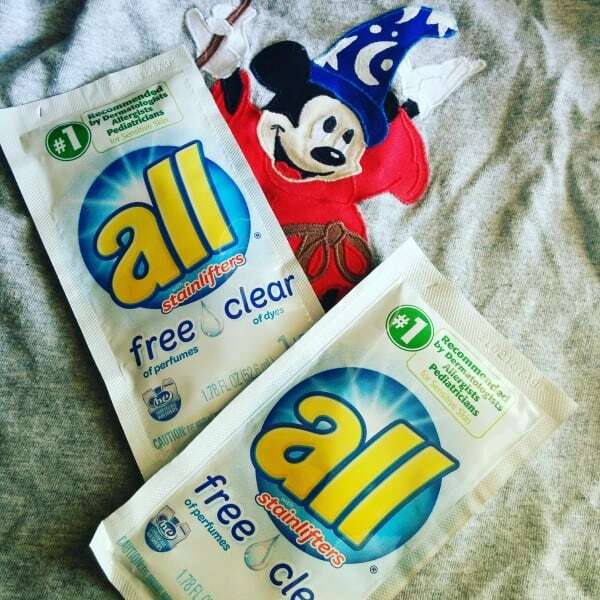 Because cupcakes, party popcorn, watermelon and chocolate milk is bound to make it on the clothes of a busy preschooler, I appreciated being able to wash away the party evidence with the sample packets of all free clear detergent. We didn’t have the chance to read the book by Banfield Pet Hospital at the party but it has quickly become my 4-year old’s most requested bedtime book! 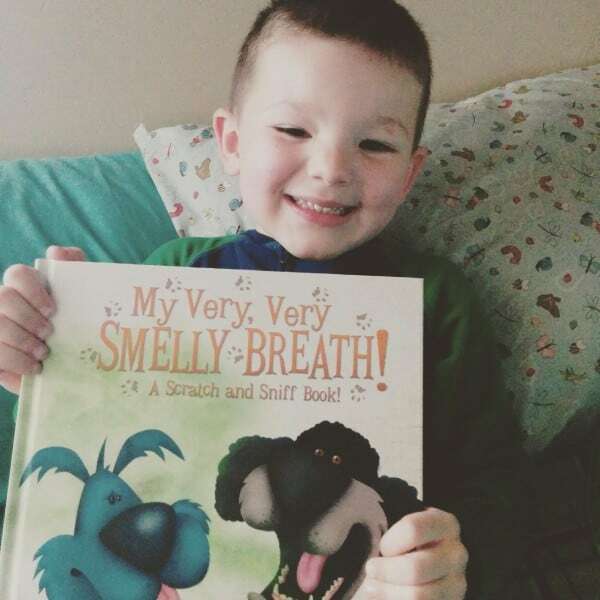 “My Very, Very Smelly Breath” tells the story of a dog who has less than attractive breath, accompanied by silly scratch-and-sniff sections that have my son in stitches! 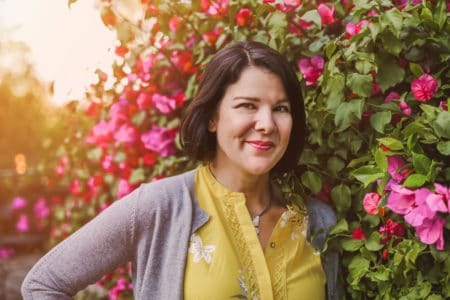 Check out Banfield Pet Hospital on Facebook to see other informative and entertaining children’s books that they offer. We had a wonderful playdate with our preschool friends and have already heard from our young guests about what a great time they had! Thank you BSM Media and Disney for sending us this fantastic box of treats to share with our preschool friends! I kept it easy-breezy this time around and everyone did have fun! 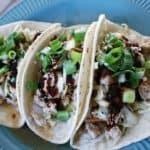 Hoping the skies clear for your party!